**On Saturday, September 29th, museums nationwide will offer free admission. For a list of participating museums in California visit http://www.smithsonianmag.com/museumday/museum-search/?state=California. To avoid disappointment, I suggest you call the museum you are interested in directly to confirm their particpation and any restrictions. **All 397 national parks will offer free entrance on Saturday, September 29, for National Public Lands Day. This 19th annual event encourages everyone to get outside and enjoy the great outdoors. Visit www.nps.gov for a list of parks and information to help plan your park adventure. **San Francisco’s Travel Show is at the downtown Concourse Exhibition Center on Saturday and Sunday, September 29-30. Meet hundreds of exhibitors highlighting destinations from around the globe. 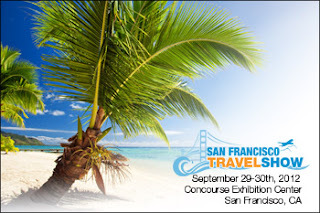 Great vacation deals and specials will be available right at the show--even some trip giveaways, including a 4-person California whitewater rafting trip courtesy Mother Lode and a 6-day Fly-Drive Vacation courtesy of Virgin Vacations. Tickets are $8 at the door; kids under 18 free. Graeagle Restaurant 7430 Hwy. 89, (530) 836-2393. B-L daily; seasonal; $. This large open dining room looks like nothing has changed since the 1930s or ‘40s. Decor is non-existent, with a line of counter seating and a sprinkling of tables and chairs filling the space. Breakfast features scrambles and omelettes as well as old-time biscuits and creamy sausage gravy. Lunch choices include burgers, a hot pastrami sandwich, and milkshakes and freezes. Homemade desserts include fruit pies and cinnamon rolls. Sardine Lake Resort 900 Sardine Lake Rd. Open mid-May-mid-Oct. Start in this idyllic spot with cocktails in the jammin' boathouse known as George's Playpen, and follow it with an elegant full dinner in the cozy dining room or out on the deck Seatings at 6 & 8pm; $$. Reservations required.). Menu items include rib-eye steak, a full rack of ribs, and fresh fish. Berkeley: What’s up with Hyatt and Alice Waters? Hyatt hotels has been busy as a bee working with Alice Waters, of Chez Panisse fame, to produce a three-course organic and seasonal children’s prix fixe meal. It is now on the menu at all full-service Hyatt hotels and resorts throughout the U.S. and the Caribbean. The idea behind this is Alice’s philosophy of not over-complicating food and keeping it recognizable in an attempt to help get kids interested in good-for-them foods. The salad course includes Romaine lettuce hearts, carrot curls, and a radish rose served with a flavorful lemon vinaigrette for dipping. The main course is simple grilled chicken with pesto aioli, roasted potatoes, and a skewer of cherry tomatoes, and dessert is fresh fruit—perhaps orange pieces and strawberries served in a reamed-out orange cup with fragrant lemon verbena. The price for this meal is $16.95. Indeed, Hyatt is dedicated to bringing more organic choices to its entire menu, including meat without supplemental growth hormones or antibiotics, beverages with natural sweeteners such as agave nectar, and cage-free eggs. Alice Waters’s cook book, “In the Green Kitchen,” is a great gift for you or someone you know who is in need of basic information on how to organize their kitchen and prepare simple meals with good ingredients. I plan to work the Grand Aioli and the Whole-Wheat Spaghetti with Kale into my repertoire. The book itself is a work of art, with an easy-to-use layout and delicious images.